Foreign assistance is provided in many forms. The United States and other countries sponsor foreign assistance aid programs to promote peace and security, assist with development efforts, and support humanitarian relief during times of crisis. In order to ensure these investments are properly administered, agencies employ Monitoring and Evaluation Services to maintain oversight of projects. As a modern global risk management and mitigation consultancy, TigerSwan has the prior experience and worldwide capacity to support monitoring and evaluation efforts around the world. TigerSwan supports the Bureau of International Narcotics and Law Enforcement (INL) of the Department of State (DOS) in their efforts to design, implement and oversee multiple justice, corrections and counter narcotics programs in Afghanistan. We provide implementation, assessment and monitoring services of these programs utilizing Afghan Local National personnel employed to perform the work. Employing Afghan Local Nationals empowers our team with the cultural knowledge, linguistic capability and flexibility to travel around Afghanistan to effectively perform the work. Additionally, we are able to train our team with the necessary skills, expose them to new technologies and provide employment opportunities for the local population while also increasing the economic impact for their local communities. A successful monitoring and evaluation effort informs sponsoring agencies with information on the effectiveness of their programs. In a traditional monitoring and evaluation scenario, the collected data from the field is compiled into numerous reports. It isn’t until after the program is almost complete that the efficacy is determine. 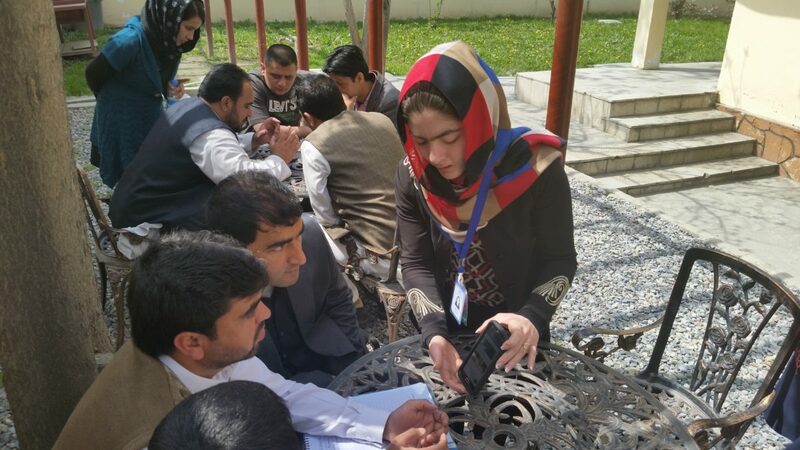 Through a close partnership with DOS staff at the U.S. Embassy in Afghanistan, TigerSwan personnel are able to engage with program implementers and share the data to determine pain points. Once these pain points are identified, a flexible approach to implementation is taken to improve the program and generate immediate change within the program to maximize both the impact and the investment. GuardianAngel is TigerSwan’s visual analytics platform that provides a broad range of services dedicated to maintaining the operational safety and stability for mission planning. Our Monitoring and Evaluation team uses the GuardianAngel app to support personnel traveling across the country. The app shares the real-time location of our staff and provides them with a bi-directional communications tool as well as an SOS button to request emergency assistance. In addition to providing a Duty of Care tool to our travelling personnel, TigerSwan’s Program Managers can also use the location-based information from GuardianAngel as an accountability tool to document that each program site was visited, how long the evaluation lasted and that all personnel returned safely. By using the data to make informed implementation decision, leveraging technology for safety and accountability and hiring and training staff form the local national population, TigerSwan has developed a best-in-class Monitoring and Evaluation Program to support global development initiatives.